As you may have surmised from previous posts, I’m Danish, but I grew up in Canada. Also and luckily for me, my mother was a great cook, she loved to try new stuff, as well as the old tried and true. So when we moved to Canada, she cooked mainly Danish dishes, but would also branch out and make Italian food, or East Indian curries as well as some more mainstream Canadian foods. But thanks to her willingness to try new foods, myself and all of my sibs cook pretty much internationally. I make dishes from my Danish childhood, some Chinese, some east Indian, many very American foods, and Mexican. Pretty much whatever floats my boat and tickles the taste buds of my husband. I got introduced to Mexican Cuisine after meeting my husband to be and visiting him in his hometown. I had always wanted to try it, but in my hometown, eating ethnic was pretty much either Chinese food or Canadian. (I did say I was Danish, so to me Canadian food was ethnic). I look back now and laugh. I laughed that day too, but… The day my boyfriend, and I met his sister and her boys for dinner at a Mexican Restaurant, and the waitress placed a bowl of red salsa and a dish of tortilla chips on the table and I watched as they shoveled Salsa onto tortilla chips and ate them like they were starving. As they munched away, they made little happy sounds and said stuff like, “Ooh this is so good’ as they were shoveling the chips and salsa in, so I wanted to try it too. I copied them, scooped a nice big chunk of salsa onto a chip, and popped it into my mouth and started to chew, just as they warned me to take a smaller bite, but WHOOO WEEE They had warned me, but I was like, “gee I like spicy food, how hot can it be’?. Well, the tears started running down my face, I had trouble catching my breath, my lips and tongue were on fire, and but, wow, was that good stuff. After downing the contents of my glass of water, and a couple more, I was ready to try it again. The next time, I was a little more cautious of the salsa, but I have to say, it was still pretty darn awesome. And I don’t think I’ve ever had salsa that good or hot again. Seriously, I fell in love with Mexican food, and have continued to enjoy it when I can. Luckily for me I used to live in a place where there were some good, some great and some fantastic Mexican restaurants on almost every corner. Sort of like the Chinese restaurants were when I was growing up. Along the way I also started to learn how to cook some Americanized versions of the Mexican dishes I liked. After all, a person can’t go out to eat all the time. I now live in an area that doesn’t have a lot of Mexican restaurants, and those that we do have, don’t have the dishes we are used to. So, now if we get in the mood for Mexican, I go ahead and make it. 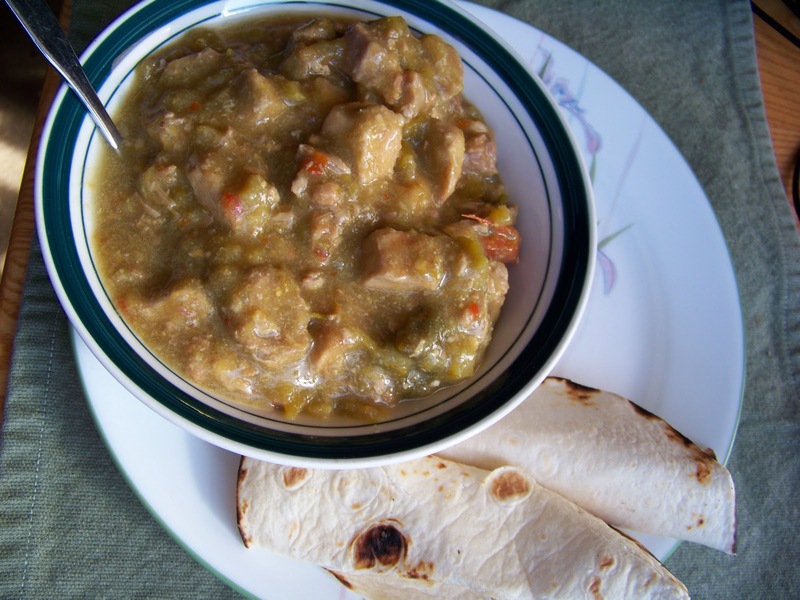 One of our favourite dishes is Chile Verde, a pork stew made with green Chile’s and Jalapeno’s. 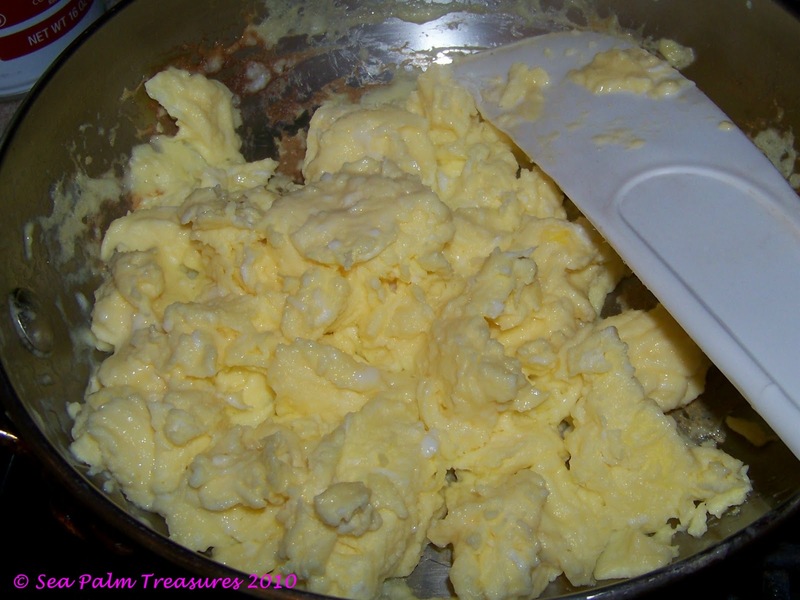 When I make it, I make a lot, it freezes well, and is an easy to put on the table meal. 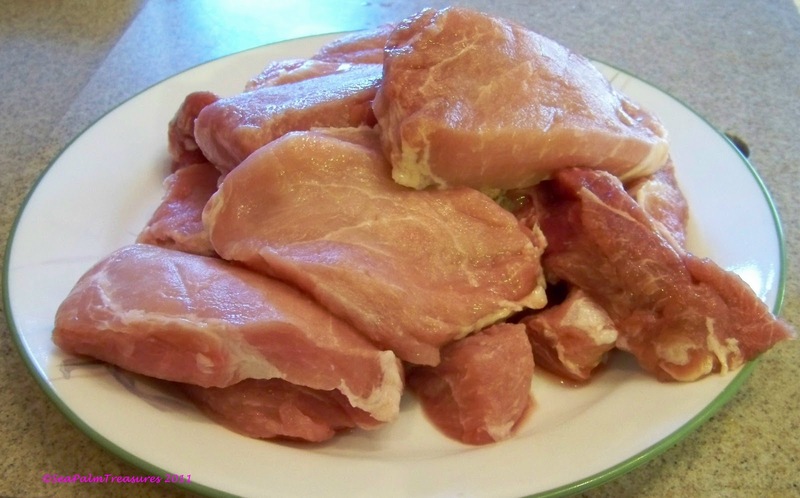 Start with a good cut of pork, slice it up into chops, I buy my pork at Sam’s Club and generally get a whole loin at a time. It works out cheaper that way per pound and I know what I’m getting. Brown them in a little olive oil, or if you’re being really bad, some rendered lard (you just made from the fat trimmings). Brown them well on each side, sprinkling a little salt on them after turning them once. 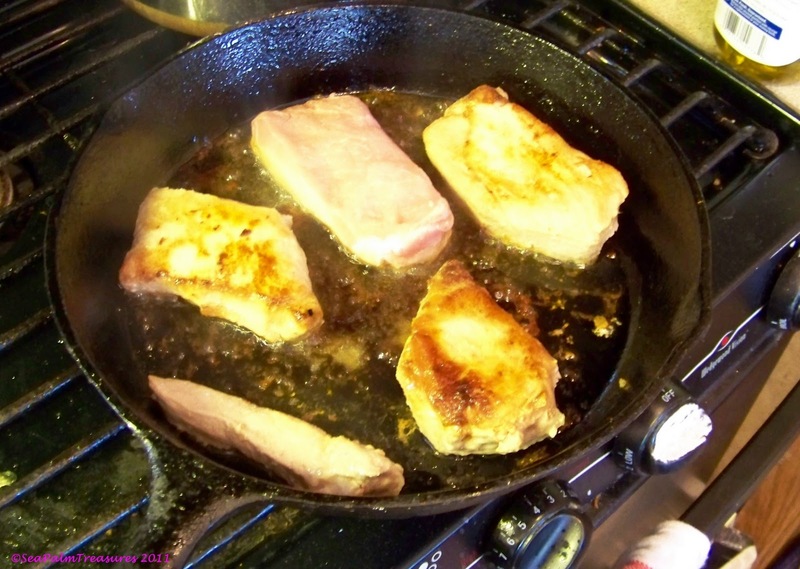 After removing the chops from the pan, cut them in bite size pieces and dump them into a large pot. Add some fresh Tomatillo’s, some green chiles,a couple of jalapeno’s, a little salt, maybe a 1/2 tsp. or so, cover and let simmer for a couple of hours. If you can’t find fresh tomatillo’s, then add some canned salsa verde, checking to make sure the main ingredient is tomatillo’s. Quite frankly, either method works. After simmering, let cool and put it in the fridge overnight. 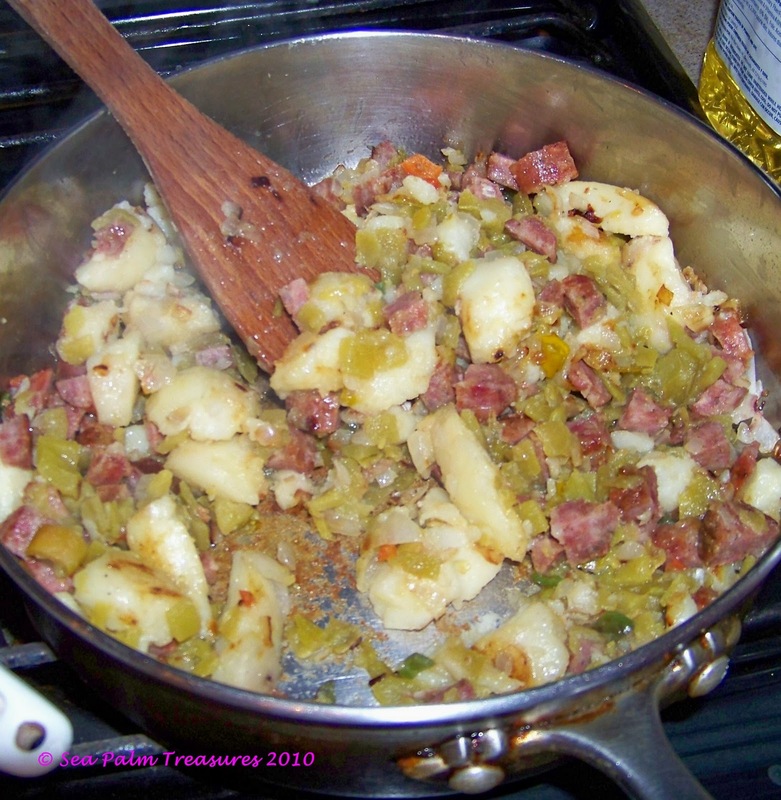 The next day, pull it out, heat it up and check for seasonings, this is when I add a couple more jalapeno’s, finely minced, (we like it hot), and to finish it off, a can of Stokes Green Chile sauce. If you can’t find some Stokes, then add a small can of green enchilada sauce at this point. 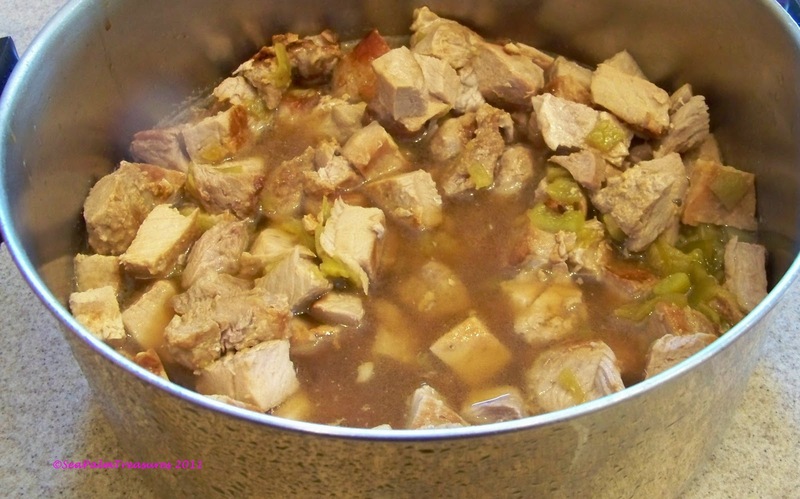 Simmer for about an hour and serve with fresh hot homemade tortilla’s. 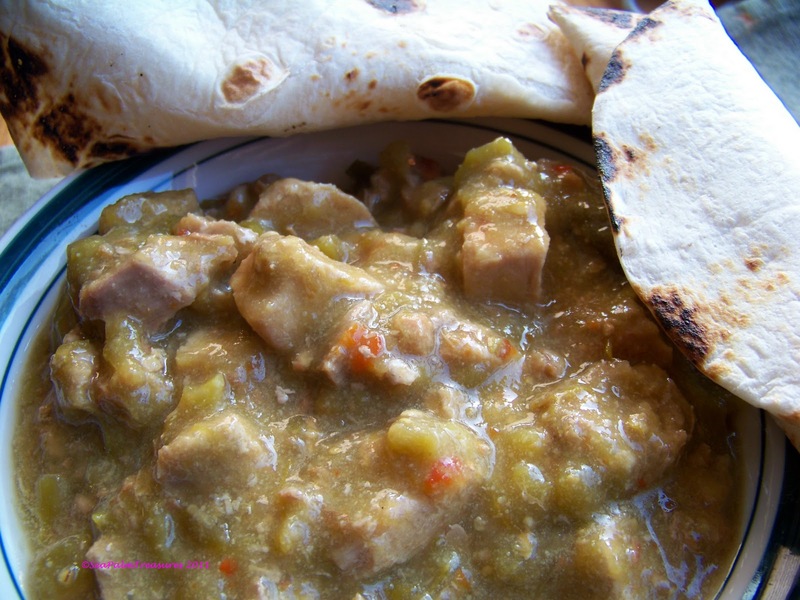 I love Chile Verde, it is the most versatile meal. We like it in a bowl with the tortilla’s on the side. 8-10 tomatillo’s, with the paper husk removed and discarded. 2 chopped (or more) Jalapeno’s, seeded if you like or not. 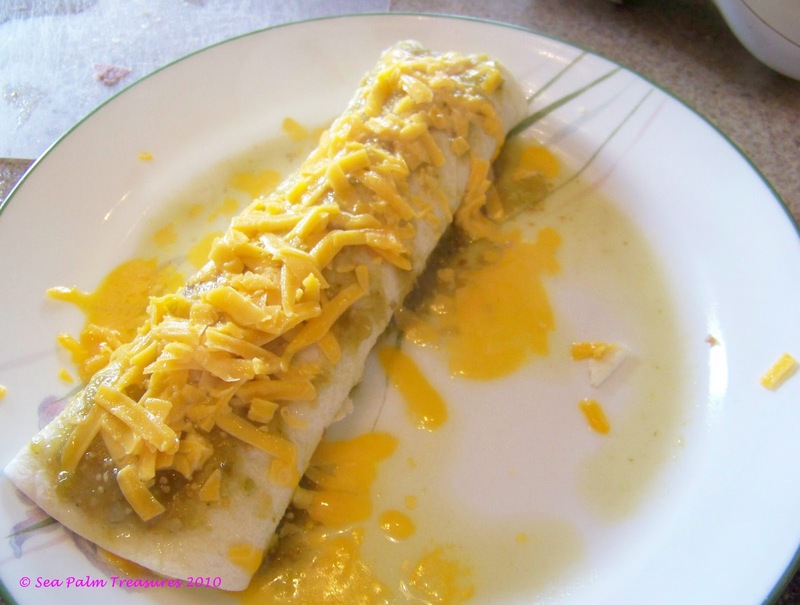 Simmer for at least one hour or more, refrigerate and finish off the next day by simmering for at least another hour with the addition of a can of Stokes Green Chile Sauce or a can of Green Enchilada Sauce, serve with home-made tortillas. Just make it how you would like it to taste. Experiment, add more or less of any of the ingredients to make it your own bowl of green. 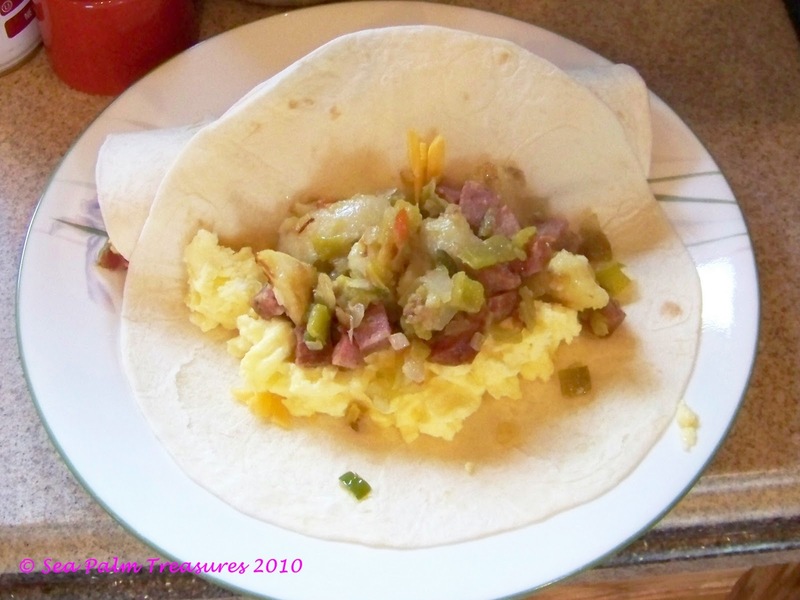 I make my own Tortilla’s as well, it just adds something to the experience. And I’m not too proud to say that a good tortilla mix is not a bad thing at all. I like Quaker Harina Preparada para tortilla mix. Divided and ready to roll out. 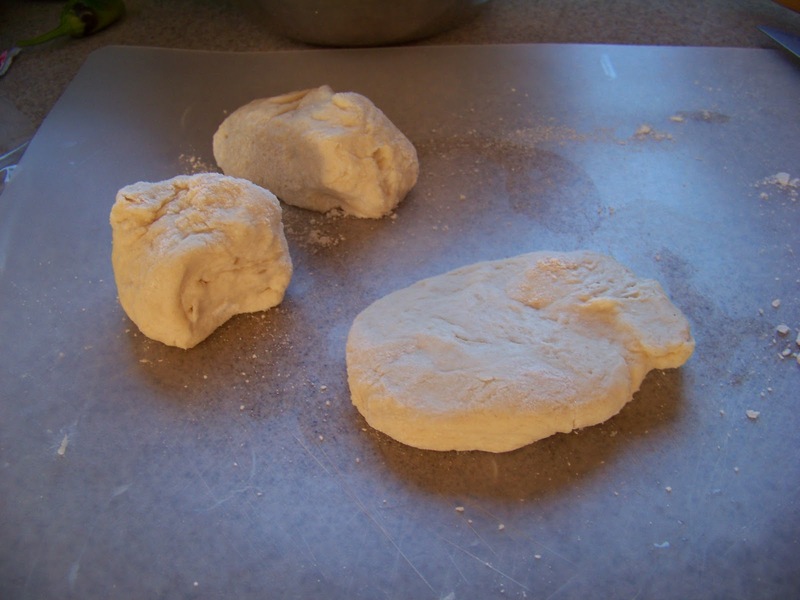 Rolled and ready for the pan. Yummy. 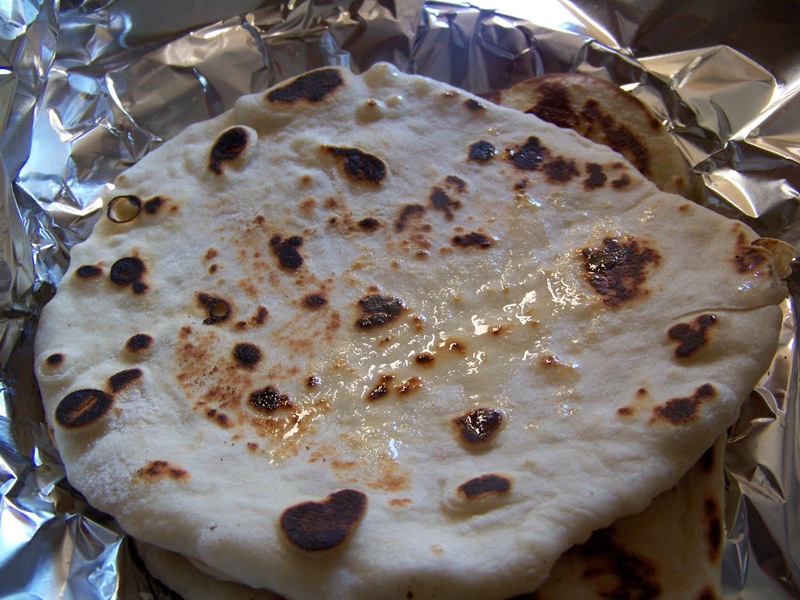 You cook the tortilla’s in an ungreased pan over medium heat for about 30 seconds on the first side and then another 20 seconds or so for the second side. We like a little char on our tortilla’s but you can cook them how you like them. 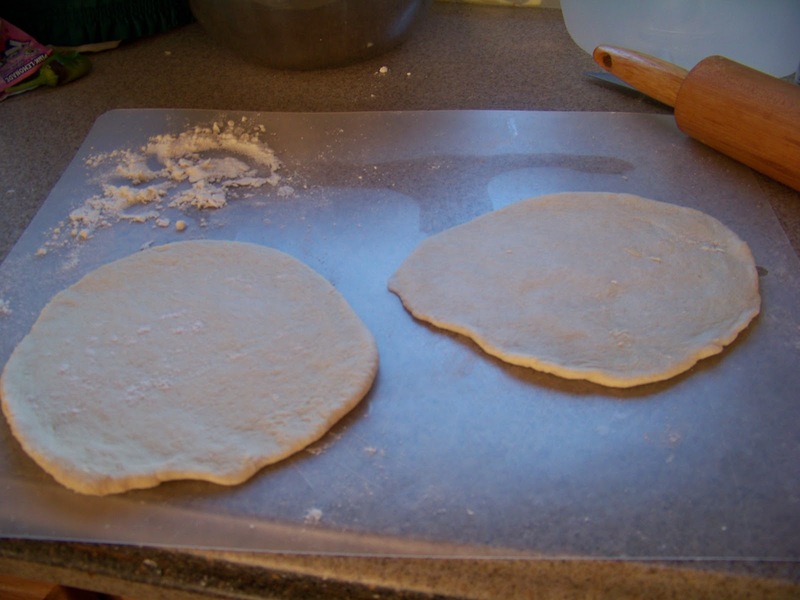 As they are homemade tortilla’s they do dry out fast, so I butter them lightly, and then wrap them in a piece of aluminum foil. This keeps them soft and warm.